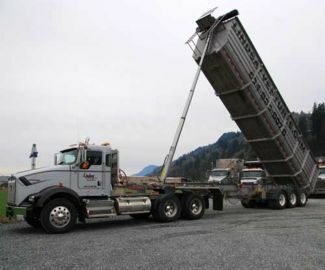 Demolition Hauling - Lindsay Ventures (2004) Inc.
Lindsay Ventures (2004) Inc. is based in Chilliwack B.C., providing demolition container service throughout Metro Vancouver and Fraser Valley. Utilized by both the commercial and residential sectors, we pride ourselves on giving our customers reliable, efficient service along with competitive rates. Together with our sister company Abby Bin Services (2014) Inc. we can provide all your waste hauling needs. Abby Bin is a fully licensed Asbestos Transport company. Call us for a quote today! Copyright 2015 Lindsay Ventures (2004) Inc. All Rights Reserved.